Spectacular 360 views include the Grand, JHMR & Sleeping Indian. 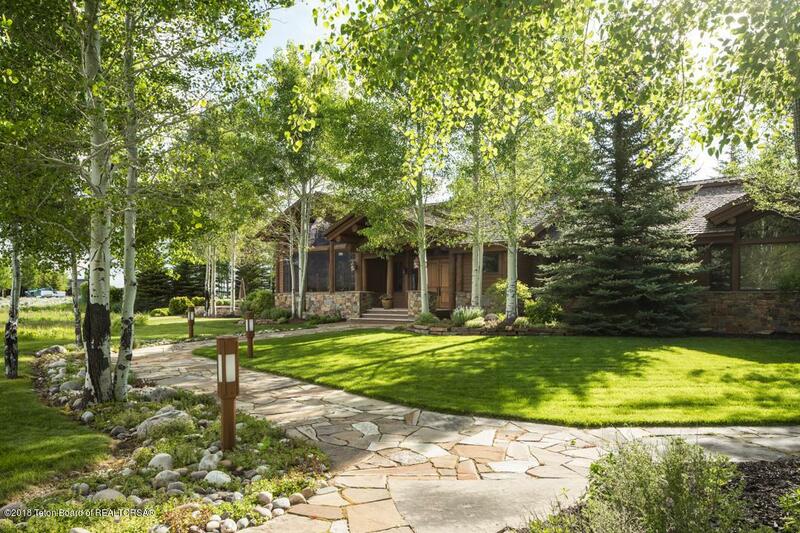 Flawless design & impeccable western ranch home on 18 acres. Welcoming entry leads into the Great Room boasting a massive and efficient double sided fireplace dividing the great room from dining, Kitchen is spacious open and embraces a quaint living area with stone fire place, The Master suite is generous complete with views Fire Place and privacy. Well-stated 5 en-suite guest rooms. Executive office embraces privacy & views, there are 2 incredible patios for relaxing and entertaining guests, Theater with 100'' screen, spacious Family room for Pool table, games etc, 1,500-bottle wine cellar, exercise room. The nicely appointed 3 bay garage sports heat, extensive storage and workbench for all your toys. Geothermal Heat & A/C.Spectacular 360 views include the Grand, JHMR & Sleeping Indian. 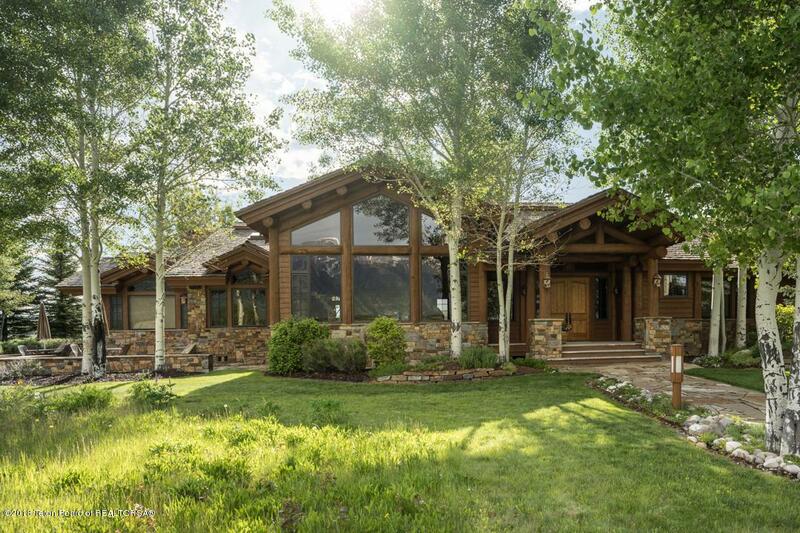 Flawless design & impeccable western ranch home on 18 acres. Welcoming entry leads into the Great Room boasting a massive and efficient double sided fireplace dividing the great room from dining, Kitchen is spacious open and embraces a quaint living area with stone fire place, The Master suite is generous complete with views Fire Place and privacy. Well-stated 5 en-suite guest rooms. Executive office embraces privacy & views, there are 2 incredible patios for relaxing and entertaining guests, Theater with 100'' screen, spacious Family room for Pool table, games etc, 1,500-bottle wine cellar, exercise room. The nicely appointed 3 bay garage sports heat, extensive storage and workbench for all your toys. Geothermal Heat & A/C. 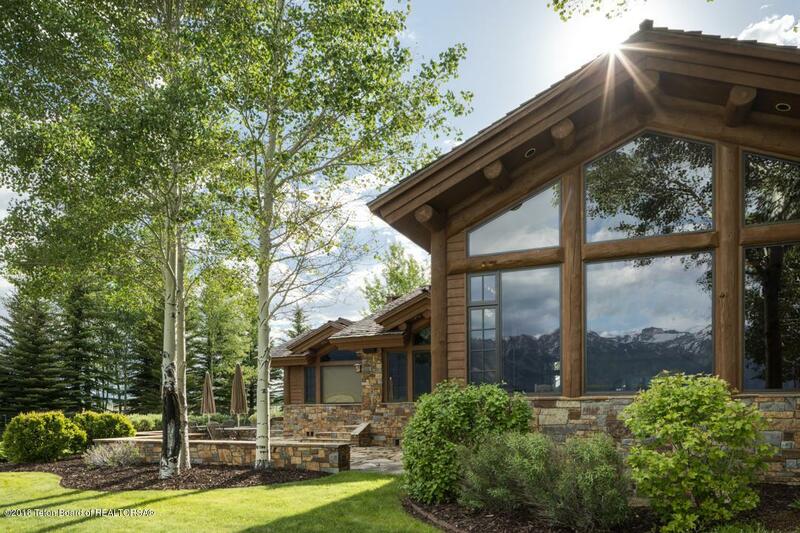 Flawless design and impeccably maintained western ranch home with over 9,200 sq ft, offering 6 bedrooms, 6 full baths, and 3 half baths. 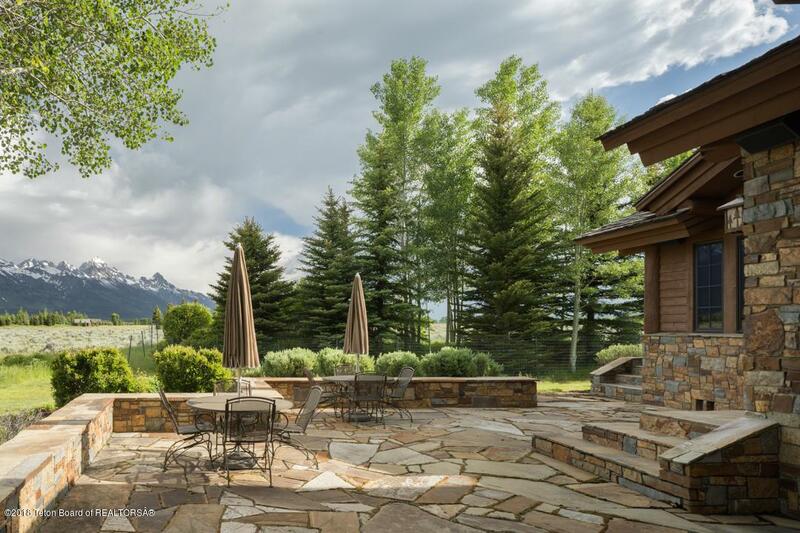 This custom Ellis Nunn designed home sits on 18 acres and captures 360-degree views from The Grand Teton to the Sleeping Indian. The Great Room boast a massive and efficient double sided fireplace separating the great room from dining room complete with wet bar and mini frig. The kitchen is what dreams are made of, Thermador propane cooktop, refrigerator, and warming drawer. The 2 Asco dishwashers make clean up a breeze. Your guest will find themselves at home in 1 of the 3 guest rooms each with private bath. The executive office is complete with built in file cabinets and offers abundant storage. The centralized sound system offers sound all throughout the home and exterior patio/deck. Downstairs is where all the fun can be found, large game room with dry bar and mini-fridge, exercise room, 1,500-bottle wine cellar, theater room with 100' screen, and 2 guest bedrooms with private baths complete this area. The nicely appointed garage sports hydronic space heaters, floor drains, extensive storage and workbench, and 3 bays for all your toys. The sophisticated heating/cooling system is comprised a a "open loop geothermal & electric boiler back-up.